Our fall hours are Thursday 12-6, Friday 10-6 and Saturday 10-4:30. Closed Sunday-Wednesday, for appointment email mvsportshaven2@aol.com. 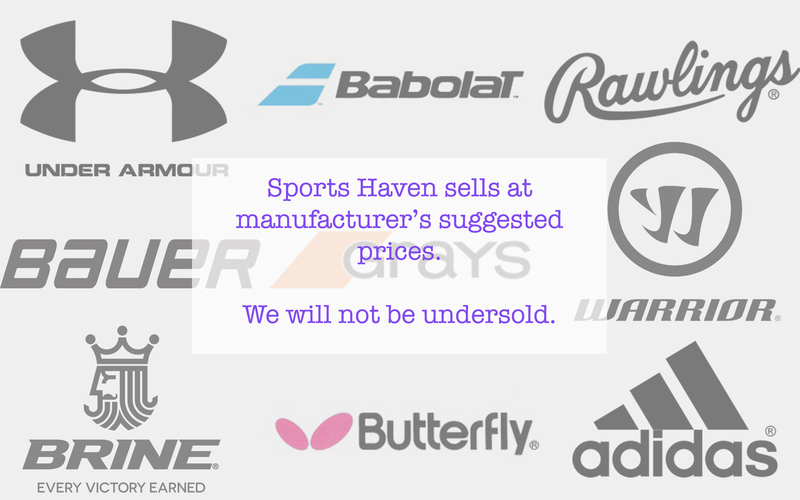 Sports Haven is Martha’s Vineyard’s favorite sports shop. Whether an active participant or team fan, Sports Haven has been supporting Vineyard Athletes since 1995. We carry a full line of sporting equipment & apparel for lacrosse, baseball, basketball, tennis, in-line skating, soccer, fitness, field hockey, football and more!